Chloe and her mom Sal haven’t spoken since Chloe came out as a lesbian ten years ago. But Chloe’s cancer diagnosis forces Sal to re-evaluate her decision and ask Chloe if they can repair what has been broken. Can Chloe forgive her? Can she trust Sal with her precious family, wife Rhonda and kids Quin and Ari? She has to try. 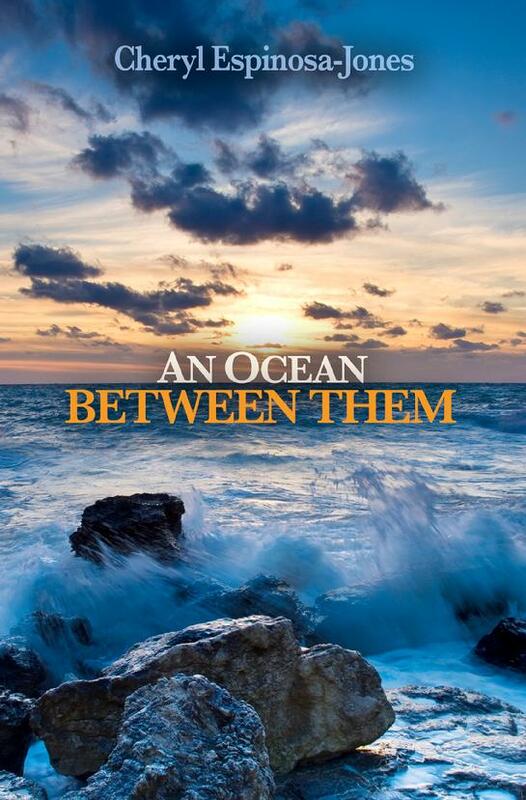 “Cheryl Espinosa-Jones’ compelling book An Ocean Between Them is a pleasure from beginning to end. A page-turner filled with strong and memorable characters, this story helps us transform life’s challenges into wise and loving action. Espinosa-Jones introduces a diverse family of mixed races, beliefs, ages, and sexual orientations struggling with old and seemingly irreparable wounds. Serious illness is the spiritual catalyst that loosens old resentments and heals broken relationships. The main characters know they may have limited time to learn to love and trust again. As a therapist and host of a radio show about grief, Espinosa-Jones gently weaves in the power of honest communication, community, heart-felt apology, and hospice support. Request the book at the library through Overdrive!